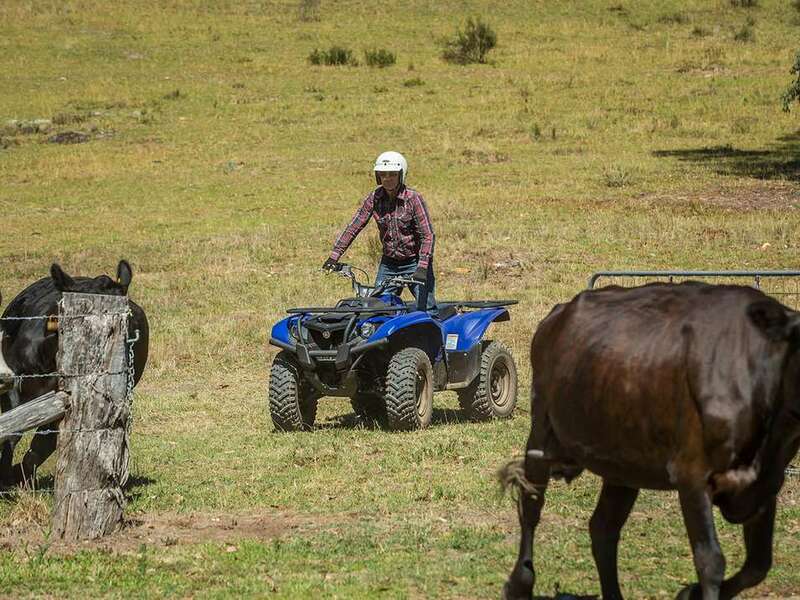 Powered by a high torque 708cc engine - and featuring a compact chassis with a plush seat for day-long riding comfort - this extraordinary worker can carry a 140kg payload plus rider, and tow up to 600kg. 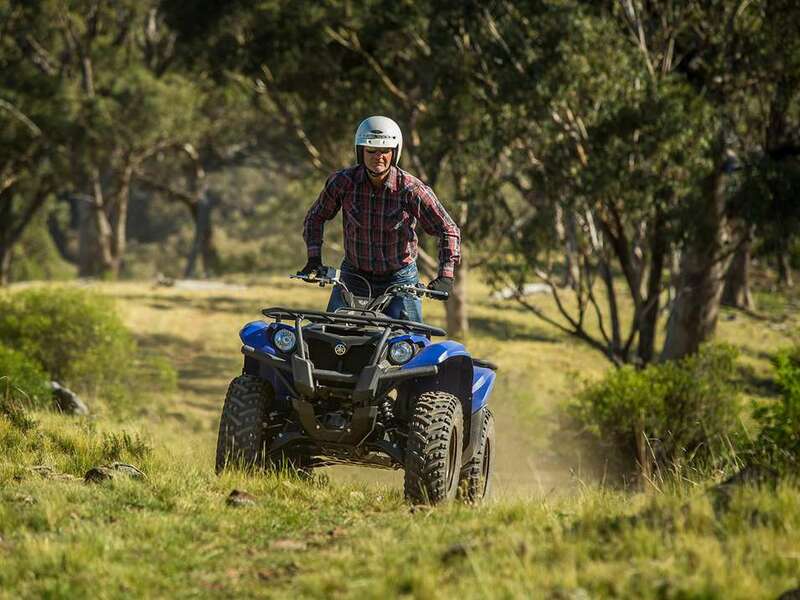 The smooth-running Ultramatic® CVT transmission and mechanical 2WD/4WD make this hard-working ATV ideal for towing. Available in non-power steer, power steer and power steer SE with alloy wheels and metallic paint. For added comfort and reduced physical effort the higher specification EPS models also benefit from Electric Power Steering (EPS). 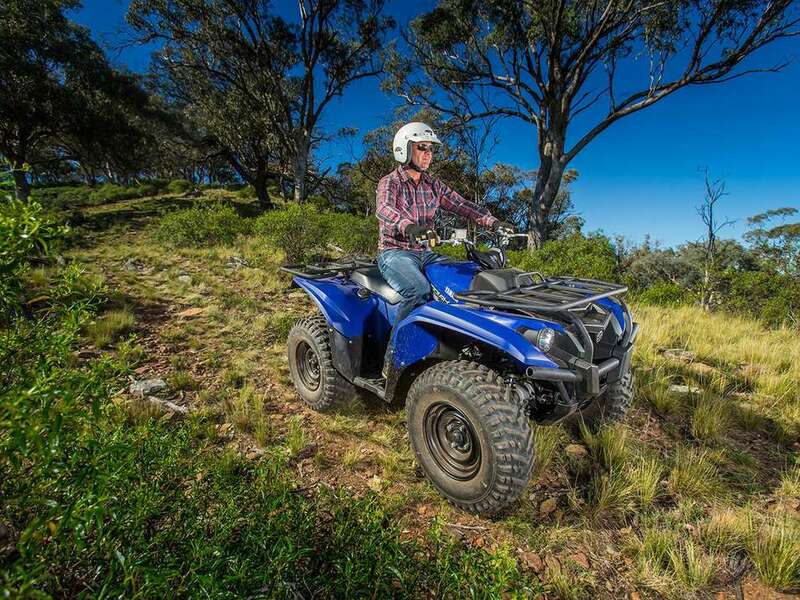 The front end the Kodiak 700 is equipped with dual hydraulic disc brakes that provide powerful and effective stopping performance with plenty of feel, allowing the rider to maintain precise control on all types of terrain, with a newly designed rear sealed wet brake system. The rear brake is operated by the left handlebar lever and also the right side foot pedal, giving the rider high levels of control. The Kodiaks heavy duty tyres are exclusively designed 25-inch Maxxis® tires that provide precise steering, optimize comfort and maximize available traction. In addition to the Kodiaks 140kg carrying capacity it can tow another 600kg across extreme terrain with its impressive torque. Accessory two inch hitch shown. 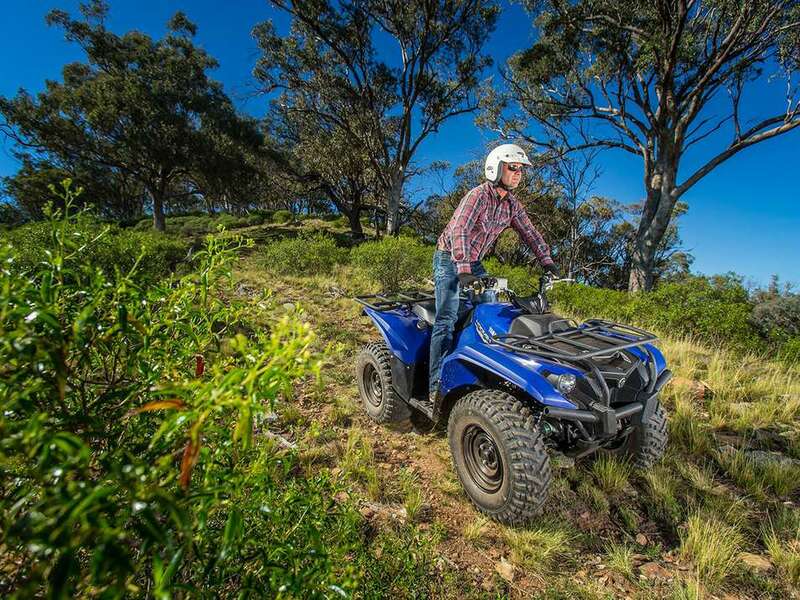 Yamaha's Exclusive three-position On-Command® 4WD system lets you switch between 2WD, limited-slip 4WD and a fully locked differential 4WD all with the simple push of a button. Override button allows engine to reach maximum rpm in full diff lock mode. Kodiak 700 is driven by a new DOHC, 4-valve 708cc liquid-cooled engine that has been developed to produce an optimised power delivery to complement its hard working utility role. With its efficient 4-valve DOHC cylinder head and a compression ratio of 10:1, this big-single produces high levels of torque, making it the ideal workhorse for a wide range of jobs. An optimized 18 litre fuel tank is located under the seat for excellent mass centralization and handling. Kodiak 700 is equipped with stylish new bodywork that gives it a purposeful and functional front face to complement its rugged and hard-working character. The newly designed front grill and front carry bar and carry bar cover convey a rugged no-nonsense appearance that underlines the Kodiak 700's tough utility specification. The injection-molded fenders protect against rock and debris damage. For safer and easier night-time working and riding, the EPS and EPS SE models come equipped with a centrally mounted halogen work light. 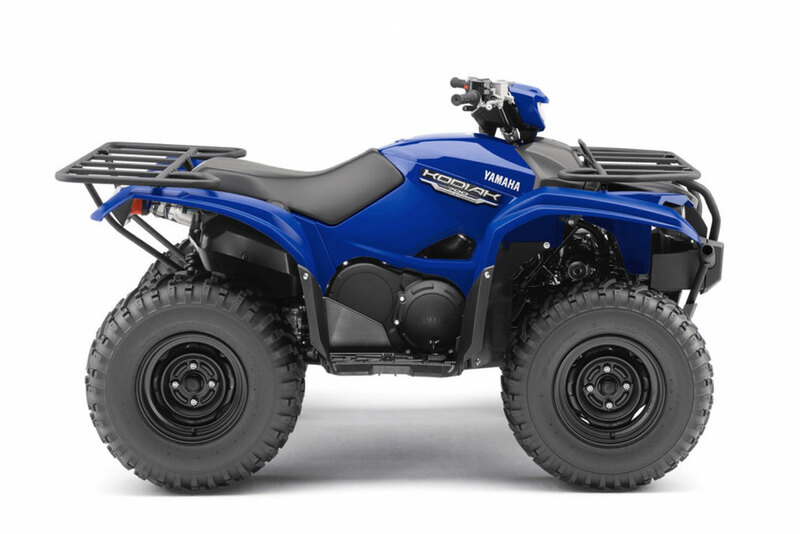 The Kodiak 700 is equipped with a rugged new chassis whose compact dimensions are ideally suited to the demands of the utility rider who may be mounting and dismounting regularly. For easy manoeuvrability over a variety of terrain, the new chassis features compact independent double wishbone A-arms and newly designed KYB shock absorbers, with 180mm travel front and 230mm rear. 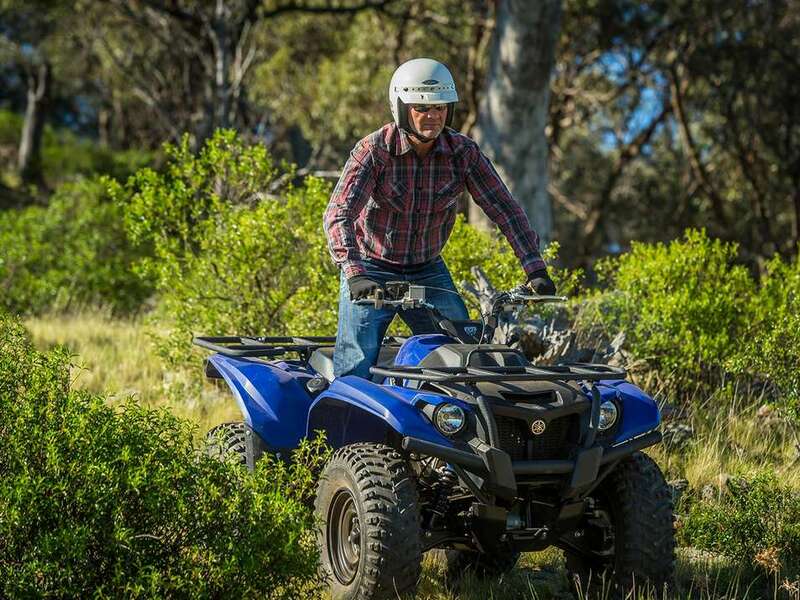 For added comfort and reduced physical effort the Kodiak 700 EPS and EPS SE models are equipped with Electronic Power Steering (EPS) that has been designed to offer the best balance of rider assist and positive feedback. 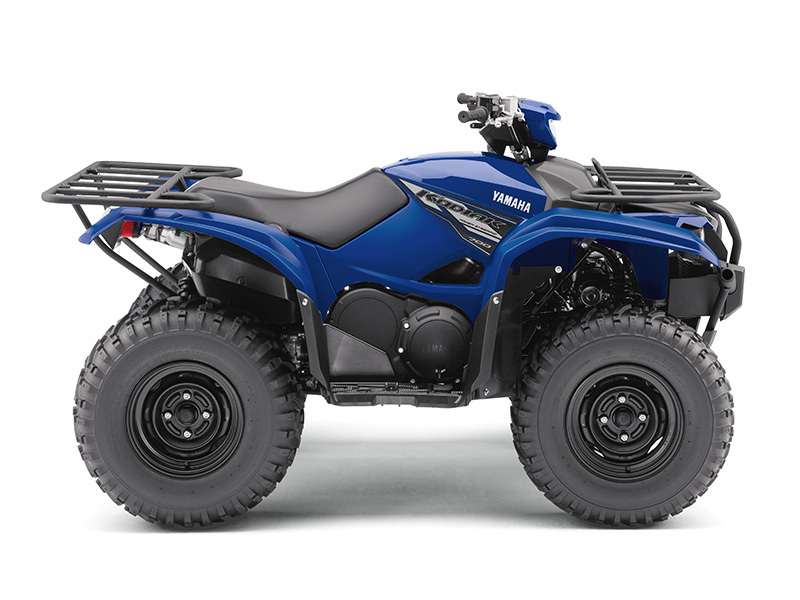 By maintaining light steering and precise handling, this rack and pinion system enhances rider comfort, confidence and control, and also maximises this big-bore ATV's off road capabilities. Kodiak 700's Ultramatic® transmission features a gated shifter, dual- range plus reverse gear and is the most advanced drive system available. Additionally, the gear ratio and Kodiak-specific CVT settings are designed to lower engine RPM and provide a smooth, easy-to-use power character. 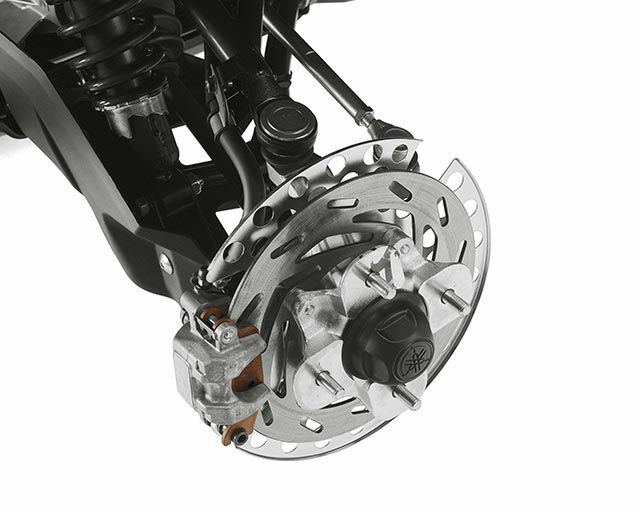 The Ultramatic transmission maintains constant belt tension and natural all-wheel engine braking.